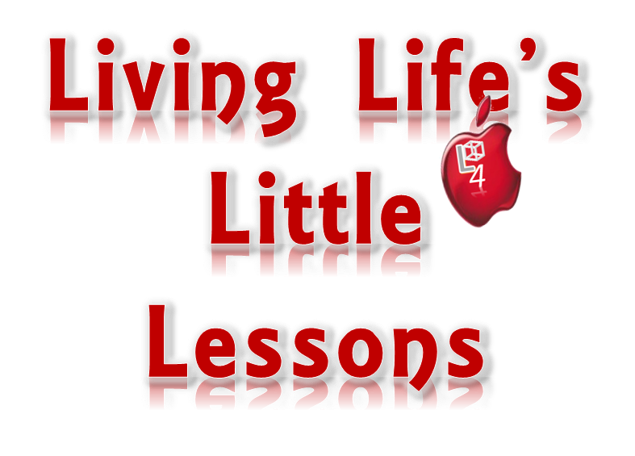 Living Life's Little Lessons: Evolution or Creation? I am not seeking a debate; I am not a scientist; nor am I a theologian. All I am is a believer in something or someone that is larger than I am; smarter than I am; more intelligent than I am; and far more powerful than I am. My belief is in a Creator God, who is so big and so potent, until He alone has the ability to produce life in ANY fashion; no matter how big or small. It is He that orchestrated the vast universe and all that is in it; and once He had finished creating our tiny little earth, he populated it with creatures made in His image. Lastly, He shared all of this information with His created beings, in a book called The Holy Bible. Now you or anyone else can believe that they are the offspring of an amoeba or some other vile creature from the sea, but I choose to believe that I am made in the image of the Lord God, Himself, according to the Scriptures from The Holy Bible. The very next line of the poem succinctly states the origin of man; the source of his life/breath; and compared it to the true state of death, calling it, its opposite, or contrary to life. There are three parts to the creation of man: 1) God formed man in His image, out of dust; 2) God breathed into man’s nostrils, the “breath of life”, which 3) resulted in man becoming a living soul. Please note, that these three (3) aspects to man’s creation can be compared with the building of any piece of furniture. If you take some wood, plus some nails, you can form a chair, a desk, a bed, dresser, etc. ; when you combine the first two elements (wood and nails), it will result in the third element (furniture). However, if you remove all of the nails or fasteners that you used to form that particular piece of furniture, you merely have the particles of the furniture, in a pile: wood plus nails and nothing more. When a person dies, the breath, which God gave to him, at his/her beginning is taken back by God. The body returns to ashes or dust, from whence it came; and the former living being is now dead. The following Scripture verse makes it plain. “Thou hidest thy face, they are troubled: thou takest away their breath, they die, and return to their dust.” Psalms 104:29. That is perfectly clear! God takes the breath away, just like He gave it at the beginning. As a result, instead of life, as at the beginning, now there is death and mankind returns to the dust, from whence he came. But I can hear you saying, I know that, but the “soul” lives on after death. NO WAY! Let’s look at two texts that will dispel this notion. Ezekiel says that souls are, first of all, persons; and persons/souls die, meaning to be without breath or body. In order for a soul or anything else to live, it would need to be immortal: meaning not subject to death. However, this concept is totally debunked by the following verse of Scripture. This Scripture declares that Only God has immortality. Everything and everyone else is subject to or has the ability to die (i.e. the soul), which is really translated – human being. Therefore, I have concluded, from Holy Scripture that when a person dies, he/she is “without the ‘Breath of Life’”, which God gave him/her, at the beginning. Also, he/she returns to dust or ashes; hence the opposite of life.